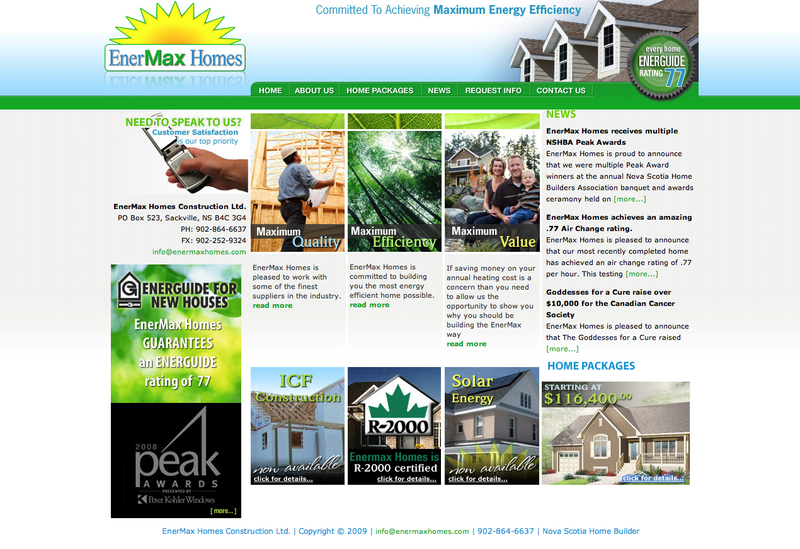 Enermax Homes is a new company building new homes in the Metro Halifax Area. They required a website that was easy for them to update and displayed their commitment of building the most energy efficient homes possible . We also that designed signage, billboards and Home Package brochures that all carry the same brand. Enermax homes was the winners of the Marketing Excellence award at the 2008 Peak Award at the annual Nova Scotia Home Builders Association.